Today I am sharing how you can have a neutral fine art wedding colour palette, yet still incorporate warm tones in your florals and details to spice things up a little. The classic blush palette is lovely but ubiquitous, and we all know that elegant green and white never goes out of fashion! But by adding just a few shades of yellow and mustard we can really elevate the style. These tones will stand out a little without overpowering the timeless aesthetic of the fine art wedding style. I gave this editorial the title “Go Gently” after a line in a song I had recently performed at a family celebration. Called Underneath the Stars, it’s a beautiful modern folk song by Kate Rusby (click here to listen). Inspired by this title, the collaboration focuses on keeping things simple and serene. Our quintessential English country manor and gentle styling brings to mind scenes from Jane Austen. Going gently on the senses with a warm but pared-back palette of creams, yellows and just a touch of blush. Going gently on fashion with an elegant Chantilly lace dress. Going gently on nature with seasonal & foraged florals, hand-dyed artisan silks & paper goods, and natural beeswax candles. It was shot entirely on both medium format and 35mm film, to ensure a raw, natural look. We demonstrate here the beauteous possibilities when you invite thoughtful creatives to work with you on your wedding design. Creatives who work from the heart, making with their own hands, working together to produce a truly one-of-a-kind wedding. 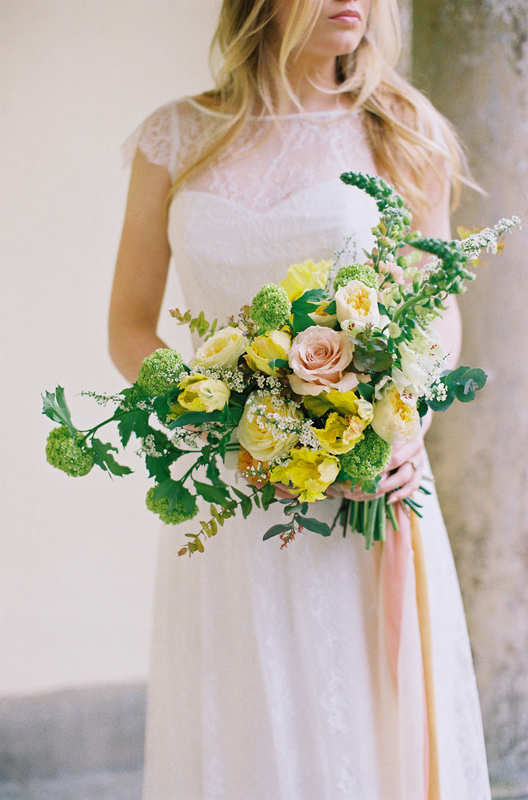 This wedding inspiration was featured on Wedding Sparrow. To see more images head to the gallery.